I’m not a big fan of new year resolutions. They are promises we make but rarely keep because, let’s face it, we cannot control what life throws in our paths to waylay our most well-intentioned plans. 2018 was going to be a banner year for me. I had all sorts of goals. I was going to write more. And travel. And find a home where my husband and I could spread out a little in our retirement, as opposed to living on the small sailboat we currently share. And, of course, I was going to lose weight and get in great shape. In early January, my mother was diagnosed with terminal cancer. My plans came to a grinding halt as all my attention shifted to her and trips to the East Coast where she lived. Losing her in March caused a paralysis of mind when it came to writing anything of substance. Food lost its appeal and I lost weight, but not in the way I had anticipated. Three of my aunts died, further adding to the whirlwind of emotion. My best friend was diagnosed with cancer and another friend died in a motorcycle crash. Our house search proved fruitless, as real estate offerings repeatedly disappointed. And our travel books collected dust as we scheduled flight after flight to attend funerals and clean out my mother’s home. I used to beat myself up when I realized that I had allowed the entire first month of the year to whiz by without making progress toward even one of my smaller goals. But this was different. This was bigger than pointing a finger at fabricated excuses. 2018 forced me to slow down and live moment by moment. The only choice I had was whether to fight what was happening in order to accomplish my goals or embrace it. I chose to embrace it. In the end, looking back, 2018 was a year that taught me more than I could ever have learned had I been able to go along with my plan. Of necessity, my siblings found a new way to be a family. We grieved together and helped one another as we honored my parents and dealt with the business of death and estates. We moved into our place as the elders for the next generation of now-grown children. My annual boat trip up north was different this year. My husband and I took our time, staying further south than usual. Each time I plunged into the cold waters of a bay or inlet, floating on my back and looking up at the vast sky, I felt baptized into a new way of being in the world. My tears mingled with the salt water and connected me to the bigger picture of our existence. I took on responsibilities that I normally yield to my husband, steering our boat through rapids and narrows; taking the helm, as it were. Taking control of a life that seemed to be spinning with unrestrained abandon. Later in the fall, once things began to wind down, we spontaneously embarked on a road trip to the Southwest. We saw national parks and canyons, buttes and mesas and vistas beyond anything I had imagined. We spent time in Taos and Santa Fe, and drove miles upon miles through a part of the country neither of us had seen. I blogged (lifeontaboga.wordpress.com) the entire trip as a way to get my writing back on track and found healing in the most unexpected places. Upon returning, we began to turn our attention to friends who were also dealing with loss, illness and difficulties. We dove deeply into the emotional realm that allowed us to be of use to those who were hurting and, in so doing, continued on our own healing path. And then, on Christmas morning, we got an email from a realtor leading us to a piece of land that fit the bill for us perfectly. An offer was made and accepted, and now it’s on to building our home. 2018 taught me that a better “resolution” is to commit to living one’s life as it is presented. To embrace it no matter what. To trust that no matter how difficult, things are unfolding exactly as they should. I’m not espousing complacency. I believe in doing the work – and it is often wrenchingly difficult work. But in the end, you just might find that the goals you set for yourself are enhanced by the goals that life sets for you. 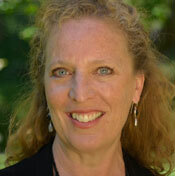 Irene Panke Hopkins is a freelance writer and essayist. She lived on Queen Anne for 20 years. Read more at irenehopins.com.